A late Renaissance hilltop villa looks down on its vineyards; Monte Amiata hulks nearby. Argiano occupies a spectacular site, with a long history of winemaking - there have been vineyards on this hill for at least 500 years. Critical acclaim accumulates here, yet despite the high scores and rising demand prices have always remained very reasonable for this level of wine. 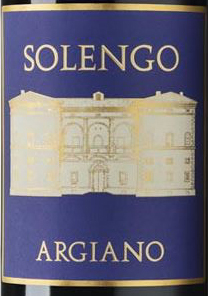 Small wonder that Argiano has become many people's touchstone Brunello. While it is no secret that in 2014 Brunello di Montalcino faced many challenges, the willingness at Argiano to restrict yield, to sort less than perfect fruit ruthlessly, and in the end to produce just over half the normal amount all shows in the finished wine. This needs just a little more time - perhaps a year in storage to be a magnificent example of the effectiveness of the Argiano team and their philosophy in action. Their standing instructions from their Brazilian owners are simple: be the best. They've invested heavily first in the vineyards and now in the cellar.